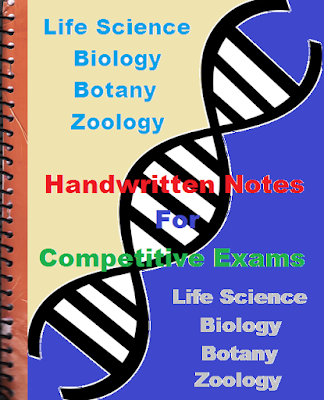 Topic wise handwritten notes of Biology available in PDF to download. Life Science i.e. biology is most common subject for all most all competitive exams like Engineering Services, PSUs like SAIL, Coal India, SSC JE, SSC CGL, SSC CHSL, UPSC, State Level PSC and several other similar level competitive Exams. Download notes from the below table. Your Like and Share motivate us to post more useful notes. So, Please Like and Share it.